What will you make? 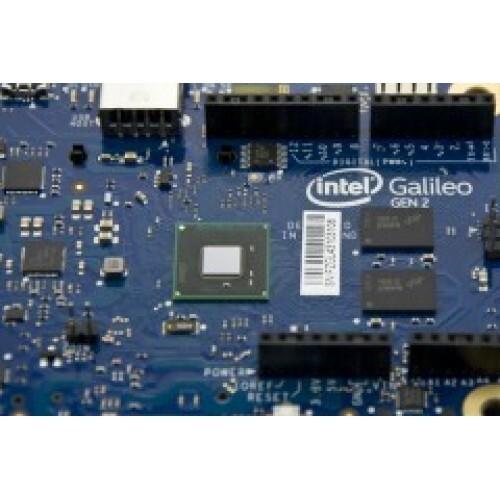 The Intel® Galileo Gen 2 board is the first in a family of Arduino*-certified development and prototyping boards based on Intel® architecture and specifically designed for makers, students, educators, and DIY electronics enthusiasts. Providing users with a fully open source hardware and software development environment, the Intel Galileo Gen 2 board complements and extends the Arduino line of products to deliver more advanced compute functionality to those already familiar with Arduino prototyping tools. 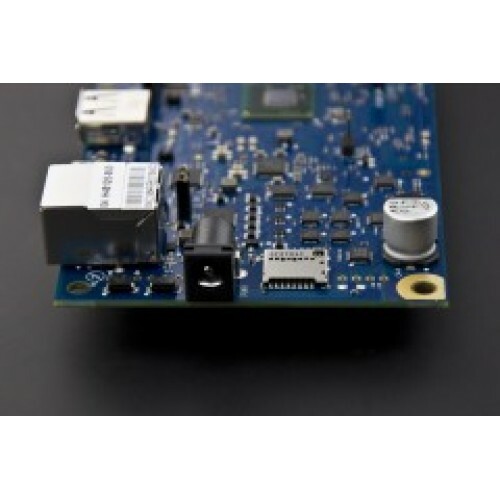 The Intel Galileo Gen 2 development board is designed to be hardware-, software-, and pin-compatible with a wide range of Arduino Uno* R3 shields and additionally allows users to incorporate Linux* firmware calls in their Arduino sketch programming. Whats new with the Intel® Galileo Gen 2 board? 6-pin 3.3V USB TTL UART header replaces 3.5 mm jack RS-232 console port for Linux debug. 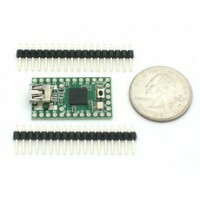 New 6-pin connector mates with standard FTDI* USB serial cable (TTL-232R-3V3) and popular USB-to-Serial breakout boards. 12 GPIOs now fully native for greater speed and improved drive strength. 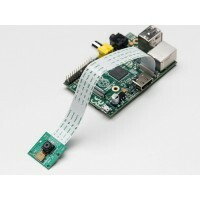 12-bit pulse-width modulation (PWM) for more precise control of servos and smoother response. Console UART1 can be redirected to Arduino headers in sketches, eliminating the need for soft-serial in many cases. 12V power-over-Ethernet (PoE) capable (PoE module installation required). Power regulation system changed to accept power supplies from 7V to 15V. Intel® Quark™ SoC X1000 application processor, a 32-bit, single-core, single-thread, Intel® Pentium® processor instruction set architecture (ISA)-compatible, operating at speeds up to 400 MHz. Support for a wide range of industry standard I/O interfaces, including a full-sized mini-PCI Express* slot, 100 Mb Ethernet port, microSD* slot, USB host port, and USB client port. 256 MB DDR3, 512 kb embedded SRAM, 8 MB NOR Flash, and 8 kb EEPROM standard on the board, plus support for microSD card up to 32 GB. 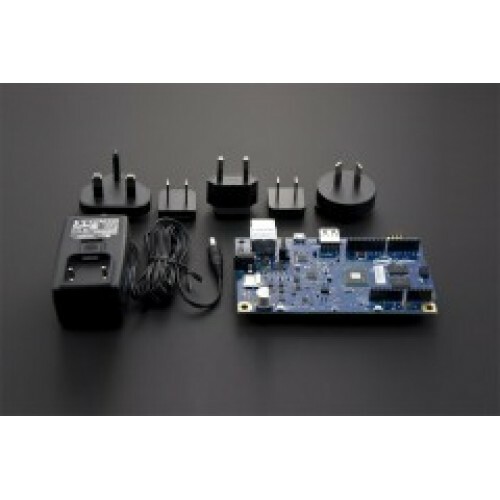 Hardware and pin compatibility with a wide range of Arduino Uno R3 shields. 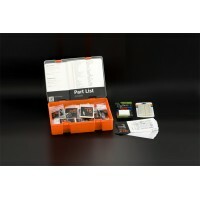 Programmable through the Arduino integrated development environment (IDE) that is supported on Microsoft Windows*, Mac OS*, and Linux host operating systems. Support for Yocto 1.4 Poky* Linux release.